Q: What Kinds of Events Does Hollywood Banquet Hall Host? A: Hollywood can accommodate almost any type of event, though our most common events are wedding receptions, birthday parties (especially Quienceaneras), Bar and Bat Mitzvahs, anniversary parties, graduation parties, and company office parties. Our lively atmosphere and competitive pricing lends itself well to any type of celebration, both formal and informal, of up to 350 people. Explore the venue now! A: Yes! Every Hollywood reservation includes the services of a dedicated event planning professional! This individual will help you decide the specifics about the venue like the decor, color scheme, seating arrangements, flatware, furniture, entertainment, the food who will serve at your event, and how the meal will be presented to your guests. 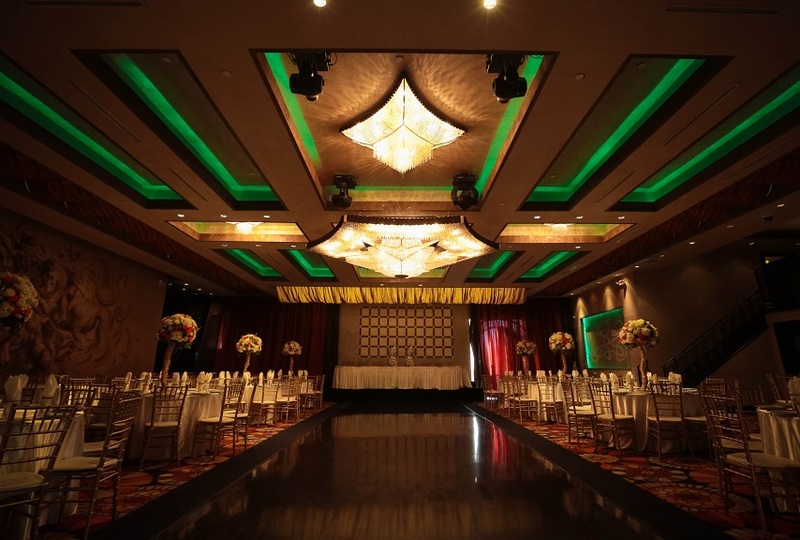 Our ability to provide comprehensive planning services is what makes Hollywood Banquet Hall one of the most popular event venues in Los Angeles. Q: Can You Accommodate Music and/or Performers? A: Of course! In fact, Hollywood Banquet Hall has a permanent stage specifically designed for musicians and DJs, and our venue’s large dance floor is perfect for formal dance routines, belly dance performances, or any other type of entertainers you choose! Hollywood also has the amenities to make your music sounds great, and we can recommend great entertainment professionals if you need suggestions. Q: Does Hollywood Partner With Any Vendors? A: While we can do a lot at Hollywood Banquet Hall, we can’t do everything. That’s why we partner with trusted, verified local vendors to make sure your event venue experience is exactly how you imagined it. Just ask for our recommendations for decorators, caterers, entertainment professionals, bakeries, and more! Q: What Should I Do About Catering? A: Luckily, Hollywood Banquet Hall’s in-house catering service simplifies the process of finding a catering company and figuring out the logistics of how to get the food to the venue while it’s still fresh and appetizing. Simply tell us exactly what you want to be served and how you want to serve it, and our experienced chefs and catering staff will see to it that every expectation is met.